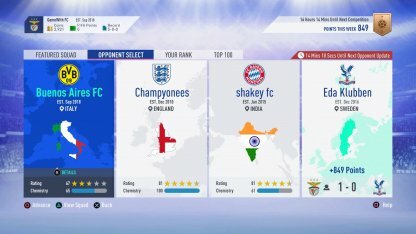 Learn how to play Squad Battles! Squad Battles is an offline alternative to the Weekend League. Learn how to earn lots of points & get rewards from high ranks to improve your FIFA Ultimate Team! What Are Squad Battles And Rewards? Squad Battles in an offline mode where you battle against AI controlled opponents. You will be ranked based off the points you earn in those battles. Rewards such as coins, card packs, and more, will be according to your rank. Here are the main things you need to do to earn your rewards from Squad Battles. The most important part for you to be able to earn points for your rank is to play games. Every game will reward you with points whether you win or lose. However, the points you earn is halved if you lose. Therefore it is recommended for you to adjust the difficulty to something you are more comfortable playing against. This will help you win more, and earn more points for your rank. On weekdays, 4 opponent teams are updated daily. On Saturday and Sunday, 4 opponent teams are updated every 8 hours, so 12 Matches you can play in the weekend! The points you earn from winning can increase depending on the difficulty level. For example the Semi-Pro difficulty will reward more points than the Amateur difficulty. FUT community teams are part of your opponent teams. Some of these player-made teams have been created by professional players. Watch out as you could be facing them next! Disclaimer: The points shown in this table are approximations based off FIFA 18. 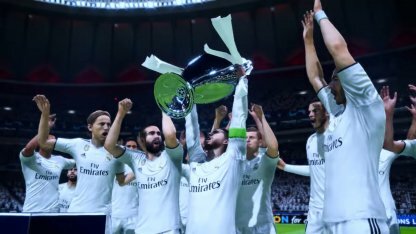 This will be updated as soon as FIFA 19 is released and more information is confirmed. One of the pros of the Squad Battle is that you will be able to play whenever you want since no internet connection is needed. Playing against CPUs will also allow you to adjust difficulty making matches easier! One of the cons of Squad Battle is that their rewards are not as much as the rewards in the Weekend League. Is Squad Battle available on Nintendo Switch? 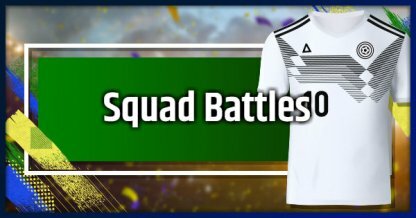 How Is Squad Battle Different From Weekend Leagues? 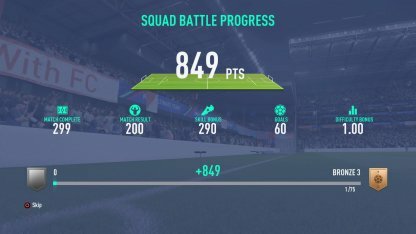 Squad Battles is an offline mode that bases your progression through points. This Game Mode is recommended for players who are not able to spend much time on FIFA but still want to play competitive modes. How Often Do Points Reset? Points will most likely reset after a week to let players try again at getting higher ranks. This will be updated as soon as more information is confirmed in FIFA 19. How Often Are Opponent Teams Updated? The four Opponent Teams are updated every 24 hours during weekdays while they are updated every 8 hours on weekends. You will be able to challenge the four opponent teams once before they refresh. When Is The Reward Given?